A spinal cord injury (SCI) can dramatically affect your life and create a long-lasting financial hardship. According to recent estimates, there are as many as 347,000 Americans living with spinal cord injuries, with approximately 17,000 new cases each year. When you’re suffering from a spinal cord injury due to someone else’s negligence, you’re entitled to compensation. You may find that you’re running up against roadblocks from insurers and other parties who don’t want to pay what you deserve, if anything at all. Having an experienced spinal cord injury attorney on your side can make the difference between your getting compensated and receiving a claim denial letter. If you or a loved one has sustained a spinal cord injury, don’t handle this on your own. 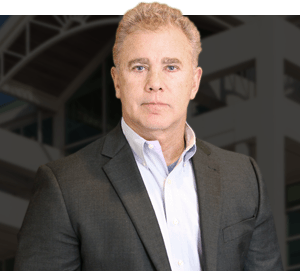 The Law Office of Gary W. Fillingim has been helping victims of spinal cord injuries for over 20 years to get the care and compensation they deserve. Humans are born with 33 vertebrae, making up a spinal cord that is over 18 inches long. Your spinal cord is divided into four sections, from top to bottom: cervical, thoracic, lumbar, and sacral. This spinal cord carries a network of nerves between the brain and the body, which can be disrupted if damage occurs. Motor Vehicle Accidents – Nearly half of all non-fatal SCI’s annually are due to a motor vehicle accident. Slip and Falls – Whether a work-related injury or an older adult falling in a medical facility, these account for 30.5% of SCI’s. Acts of Violence – Attacks, gunshots, and fights account for 13.5% of SCI’s. Sports-related Injuries – Injuries sustained while playing sports are the cause of 9% of SCI’s. There are two primary types of spinal cord injuries: incomplete and complete. Brown-Sequard syndrome – It’s possible that you could suffer injury to just one side of your spinal cord, where function is limited to a single side of your body. Anterior cord syndrome – This is an injury to the front of your spinal cord, where there might be damage to sensory or motor pathways which limit sensation or movement. Central cord syndrome – An injury to the center of the cord could result in paralysis in the arms or loss of fine motor skills, as well as partial impairment in the legs. If you’ve suffered from a complete spinal cord injury, the entire cord has been severed. This means that function has been eliminated, although treatment and therapy might be able to regain some function with time. Quadriplegia – This type of injury involves the loss of sensation or movement in all four extremities (arms and legs), usually resulting in an injury at T1 or above. Paraplegia – This injury involves the loss of sensation or movement in the lower half of the body and usually results from an injury at T1 or below. Triplegia – This injury involves the loss of function and sensation in both legs and one arm, usually from an incomplete SCI. Many other spinal cord injury victims also suffer less disabling, but still painful injuries to their neck and back that require time off of work and ongoing care. Spinal cord injuries are serious and must be treated immediately or could become life-threatening. A SCI is often diagnosed through a combination of a clinical evaluation and imaging tests. Treatment for these injuries might include medication, physical therapy, surgery, long-term care, and even counseling. Complications for spinal cord injuries reach beyond the injury itself. Over half of paraplegics develop strength and sensation issues, as well as rotator cuff tears and wrist injuries. Cardiovascular complications are now the leading cause of death among spinal cord injury patients. Spinal cord injuries have lasting consequences, for which you should be compensated if someone was to blame for your accident. Long-term care and treatment can be both complicated and expensive. The lifetime cost to care for a serious neck injury in a 25-year-old is nearly $5 million. You might also be entitled to payment for lost wages, property damage, as well as pain and suffering for your spinal cord injury. Contact the Law Office of Gary W. Fillingim to schedule a free, confidential consultation and case evaluation with an experienced Alabama spinal cord injury lawyer.